Cuban authorities say two people are dead due to torrential rains that have lashed the country for the last two days. 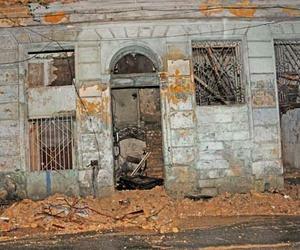 Communist Party newspaper Granma said Saturday the deluge caused the collapse of two buildings in central Havana, killing a man and a woman. The rain arrived early Friday and fell almost constantly throughout the day. Traffic snarled and some cars were stranded, as intersections flooded and streets turned into rushing rivers. Havana's main meteorological station measured 2.8 inches (72 millimeters) of precipitation during a single three-hour period in the afternoon. Accumulations of up to 5.9 inches (150 millimeters) were recorded elsewhere. Rain was continuing to fall in the capital Saturday. Granma said the area affected ranged from the western province of Artemisa to Ciego de Avila in the central part of the country.